The Protist Expressed Sequence Tag Project (PEP) studied microscopic, single-celled microbes called protists, a substantial number of which have significant medical and agricultural impacts upon human society. Dr. Michael Gray of Dalhousie University, known around the world for his work in this field, led the team in studying roughly 70 different protists, from which they established a comprehensive database of the different kinds of molecules encoded by the organisms’ genes. This inventory created descriptions for over 200,000 gene products, all of which have been made publicly available, providing a very large boost to fundamental research on eukaryotic evolution and biochemistry both in Canada and internationally. PEP was a $2.9 million project that joined researchers from six institutions and five provinces. It enabled 117 person years of employment, generated 33 peer reviewed publications, four book chapters and 61 invited presentations. Data and/or tools developed include an extensive suite of cDNA libraries, automated sequence annotation for EST clusters and novel software for managing extremely large data sets. Funders included Genome Canada, the Atlantic Canada Opportunities Agency/Atlantic Innovation Fund,Dalhousie University, and the Province of Nova Scotia/Nova Scotia Research and Innovation Trust. 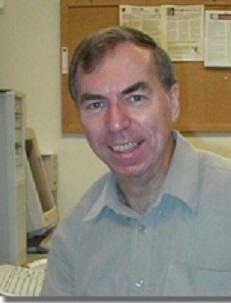 PEP was part of Genome Canada’s Competition I.